7th Bomb Wing, drug traffickers have a new enemy. The B-1B Lancer is well known for its capability of delivering massive weapon payloads to America’s adversaries, anywhere in the world, at any time, but this is not its only capability or mission. 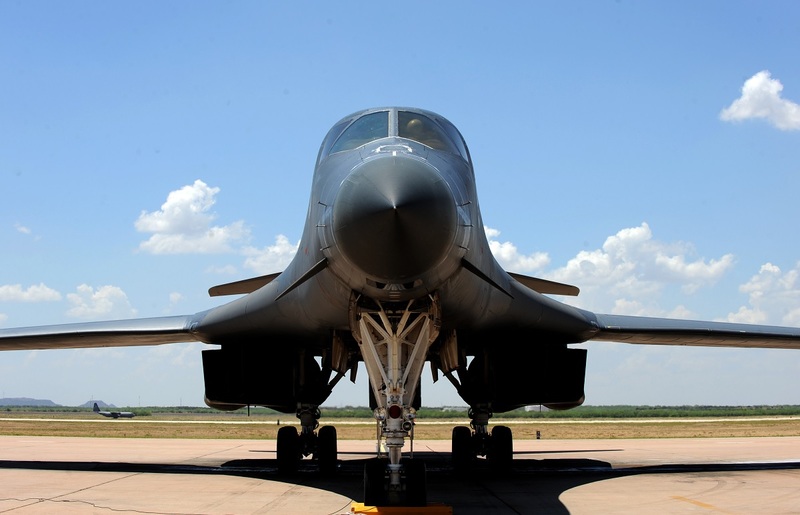 The B-1, commonly referred to as the “Bone,” is exceptionally versatile and has a synthetic aperture radar (SAR) that is capable of tracking, targeting and engaging moving vehicles as well as self-targeting and terrain-following modules. It was these reasons, and more, which made the “Bone” the perfect aircraft to assist Joint Interagency Task Force South’s (JIATF South) mission to detect and monitor illicit drug trafficking in the air and maritime domains in Latin America. A B-1 bomber from the Air Force’s 9th Bomb Squadron, out of Dyess Air Force Base, takes off at Naval Air Station Key West’s Boca Chica field Tuesday in support of Joint Interagency Task Force South’s mission of detection and monitoring of illicit trafficking across all domains. Key West is a state-of-the-art facility for air-to-air combat fighter aircraft of all military services and provides world-class preside support to U.S. and foreign naval vessels. In total, the 9th BS has dedicated more than 350 flight hours to this operation. Within those hours they have assisted in confiscating more than 5800 kilos of drugs, specifically cocaine, which totals out to more than $175 million. They have searched more than 3.2 million square miles of ocean and detained 27 people and 8 vessels. 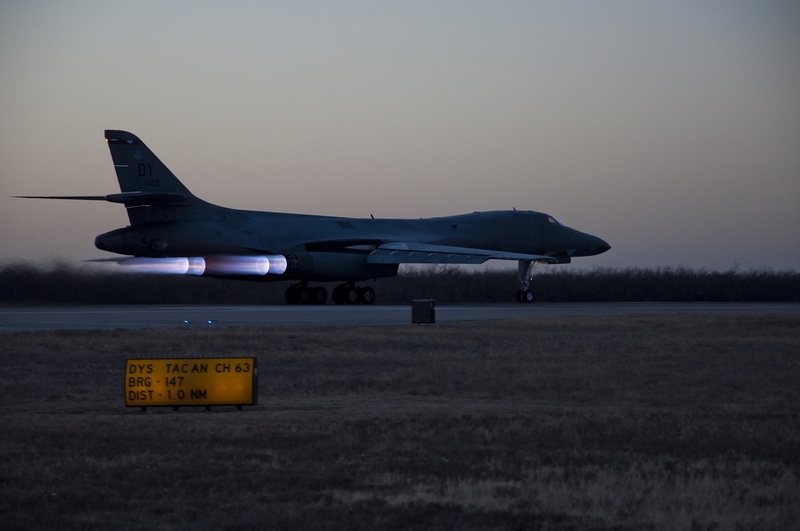 For this particular mission, the B-1 crews use a Non-Traditional Surveillance and Reconnaissance platform that consists of utilizing sensors on the aircraft to locate and track suspected criminal vessels. The JIATF South’s Joint Operations Center at Naval Air Station Key West, Fla. assists with the illuminations of suspected vessels, and coordinates with B-1 operators and crew members for direct eye in the sky. 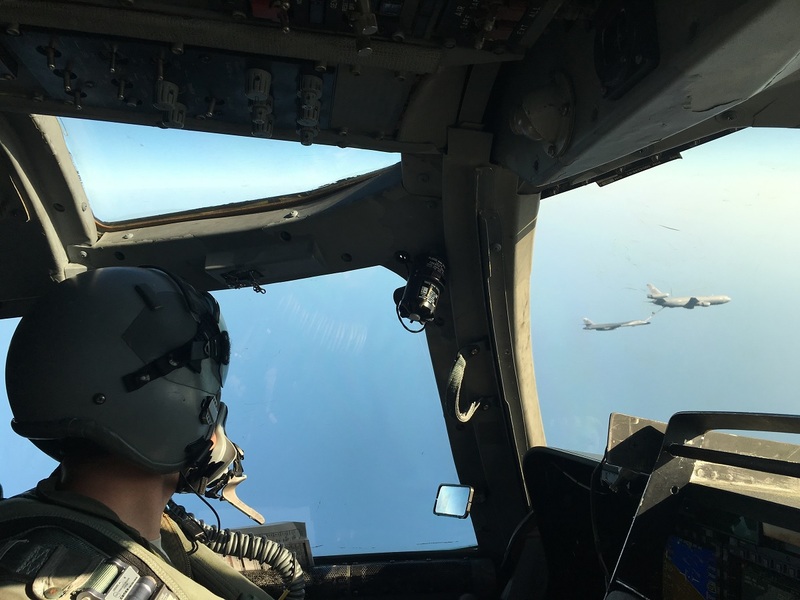 Delta, a 9th Bomb Squadron pilot, watches his team leading air refuel over the Pacific Ocean, March 2016. Dyess has been assisting the Joint Interagency Task Force South in their fight against drug trafficking from Latin America. In total, the 9th BS has dedicated more than 350 flight hours to this operation. The results were tremendous and the increased Air Force support alone has been extremely beneficial. Moreover, the successful integration of airpower, cyber, space assets and interagency demonstrates a unique capability in executing command and control in multi-domain operations, stated a JIATF South representative. Although the 9th BS plays a huge role in this operation, they are not alone. Three different MAJCOMS, multiple units from across the country, more than 7 different aircraft from all military branches and even other partner nations have assisted JIATF South in facilitating illicit drug trafficking interdiction in support of national security. Missions such as these offer great training opportunities with a satisfying impact at the end of the day. Even though the B-1 was first used for combat support, it has come a long way and will be used in a multitude of flying missions daily in support of continuing operations.